More good news to share! 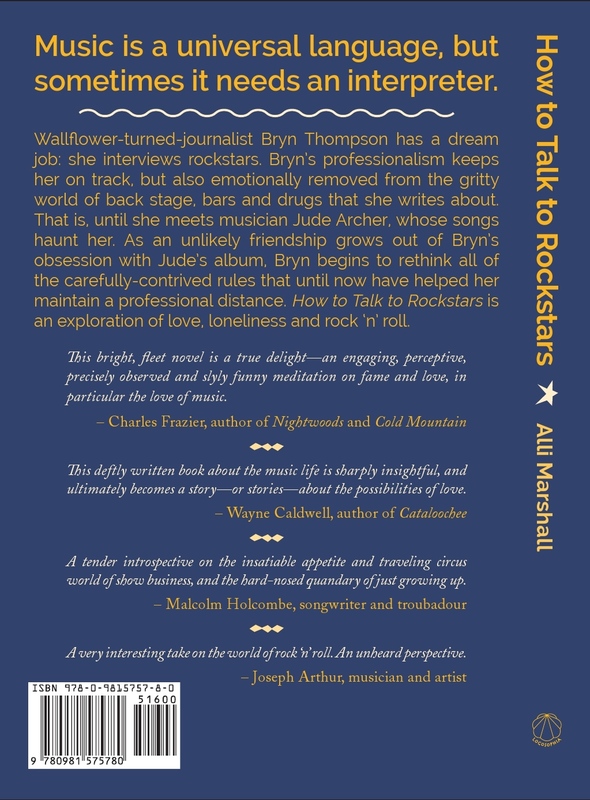 Not only does my forthcoming novel, How to Talk to Rockstars, have a front cover — it has a lovely back cover as well. I’m so excited to share with you these endorsements from my literary and music heroes, Charles Frazier, Wayne Caldwell, Malcolm Holcombe and Joseph Arthur. This entry was posted in Books, How to Talk to Rockstars and tagged book cover, books, Charles Frazier, cover art, endorsements. Bookmark the permalink. ← First look: cover art!